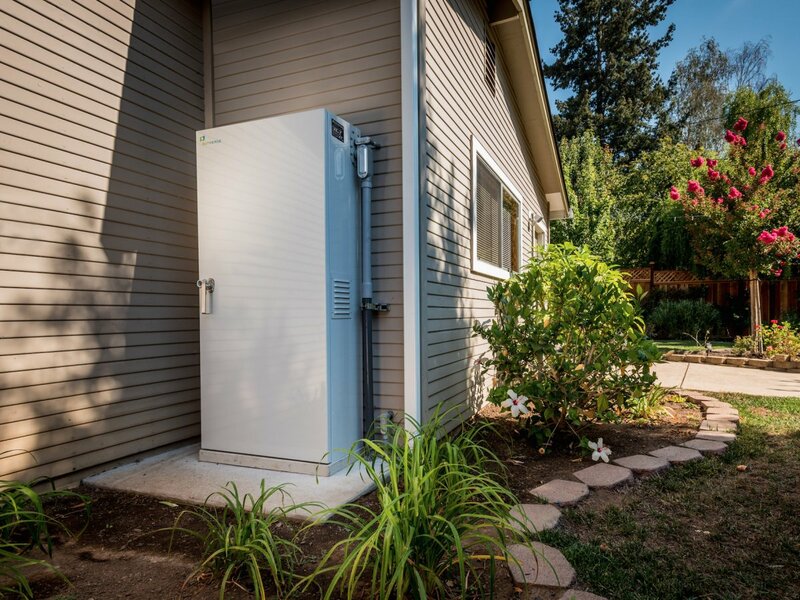 The Sunverge Solar Integration System (SIS) is an intelligent distributed energy storage system that captures solar power and delivers it when needed most. It combines batteries, power electronics, and multiple energy inputs in a UL-certified appliance controlled by software running in the cloud. The SIS is a utility-grade product designed for the consumer market.SIS units are installed at homes and businesses, integrating with new or existing solar systems, and connect to the grid and the local electricity supply. Each unit runs applications to automatically lower electricity bills, improve reliability, and protect the grid. The Sunverge Solar Integration System is a heavy duty solution for backup power and going off-grid. The SIS is pretty unique with its options and design goals. The battery itself is quite large, weighting in at 600 pounds for the lowest capacity they offer of 7.7kwh. The look is very reminisce of a transformer, and is not the most stylish. However, the sheer capabilities make up for the dull look. Back-up is always a big thing and a lot of factors depend on the house power usages and battery size, but a house equipped with the SIS can survive between a few hours to a few days from the battery in times of power outages. The grid-to-back-up transfer rate is fast enough not to disrupt sensitive electronics like computers and clocks. The SIS also offers Demand Charge Management features which can be a big benefit if your utility issues demand charges. The battery will charge during low peak hours and then use that power on high peak times. It may not always use 100% solar power but can offer substantially cheaper results even when using on-grid power. It’s truly a serious product for those looking to be off-grid for the majority of the power they use and/or have a reliable backup system. The cost of the product does depend on the size and is hard to estimate the installation fee. There is no set installation price and varies on a lot of factors for how complex the system is. There is also an app by Sunverge that lets you control and provide the usual information about energy, heating, cooling, history, ect. However, the app requires an additional fee. Overall the product delivers a lot of the table and while the storage to cost ratio is higher than some other batteries, the options SIS provides justifies the extra costs in my opinion. 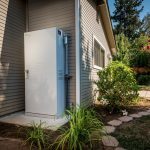 Of course it’s not for everyone and I’d suggest a good evaluation to make sure the solutions the Sunverge SIS is suitable for your home’s needs.